Nikon is rumored to target the Sony A7 III with their new mirrorless camera - if true, this will mean they will use a sensor in the 24MP range and a target price around $2,000 - that makes sense because Nikon already has an excellent high MP camera - the D850. 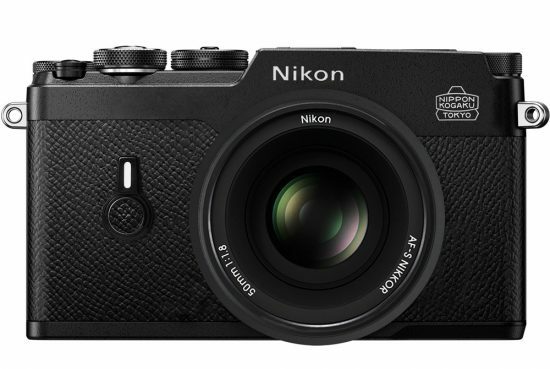 The new Nikon mirrorless camera will have features/functions never introduced beforehand (not sure if this applies to Nikon, to mirrorless cameras or to the industry as general). The camera was designed with ergonomics in mind. At least one new mirrorless zoom lens will have power zoom (for video recording). Nikon Japan should soon start sharing information with the parties involved in one month and we should start getting more detailed specifications soon. The official announcement of the new Nikon mirrorless camera is rumored to be shortly before Photokina while shipping is expected to start a month after Photokina (there were already multiple reports for an announcement in the second half of 2018, see this and this post). The new Nikon mirrorless camera will definitely be on display at Photokina in September. One new camera and two new lenses will be announced first (for Photokina) with another batch of lenses following shortly after (4-6 months after Photokina). The most likely scenario is for a full frame mirrorless camera first (APS-C model will probably follow later, but I am still not sure about this). New Nikon mirrorless Z-mount - confirmed by multiple sources (could still be called something else). Very sophisticated new F-mount adapter - also confirmed by multiple sources. Two electric AF motors (no new info). This entry was posted in Nikon Mirrorless Camera and tagged Nikon full frame mirrorless camera, Nikon large sensor mirrorless camera. Bookmark the permalink. Trackbacks are closed, but you can post a comment.